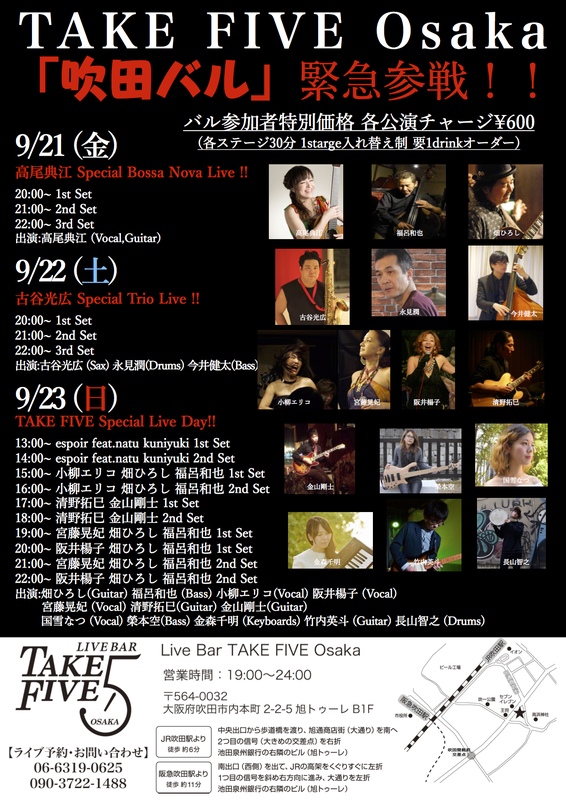 吹田バル ２日目 古谷光広 Trio Live! Copyright © 2017 TAKE FIVE. All Right Reserved.